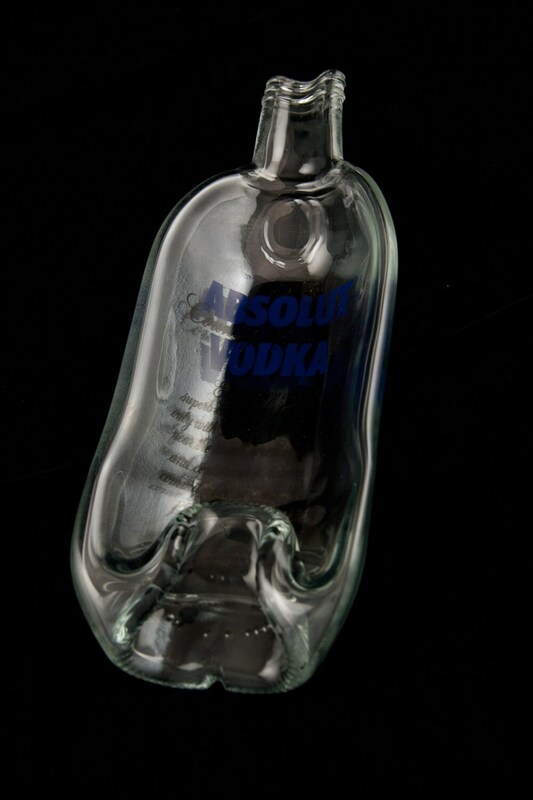 This recyceld Absolut Vodka Bottle has been uniquely melted into a serving dish. 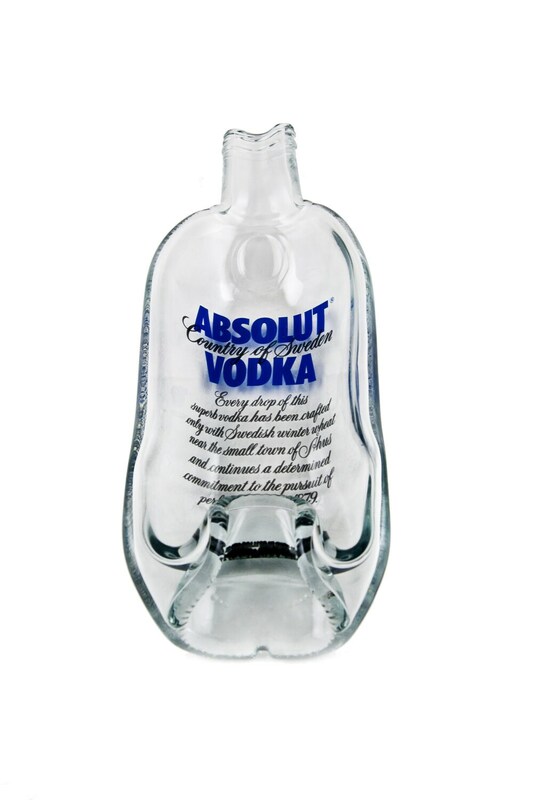 Many people use this to catch pocket change and their keys when they walk through the door. 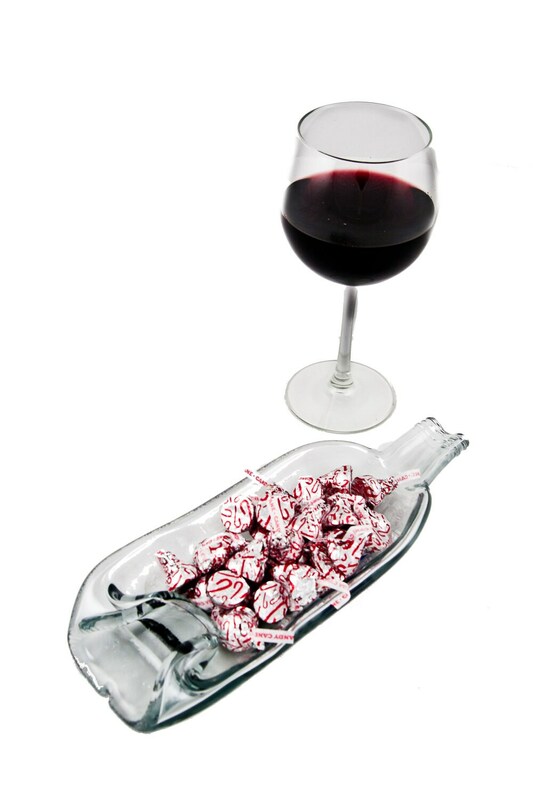 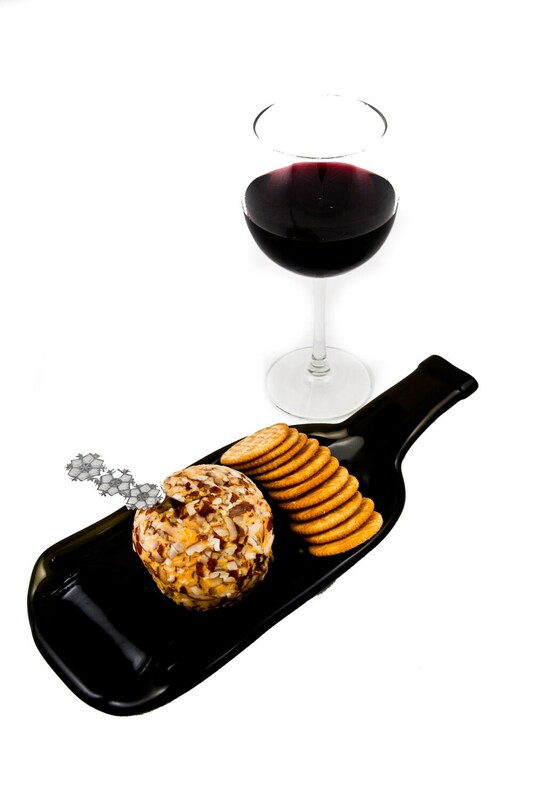 OR a cigar ashtray....there are several uses for this neat dish - candle holder, cheese and crackers, business cards.